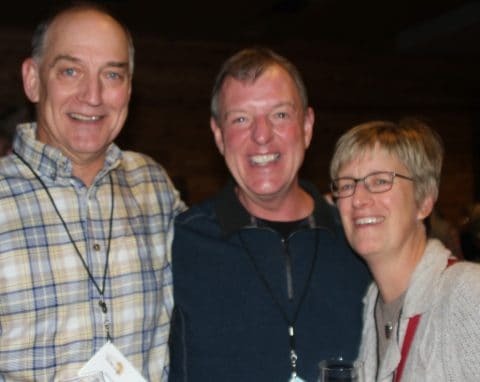 This year’s Annual Gathering, themed “Ready, Willing & Able”, was held at Surly Brewery on Monday, November 13. It was a huge success thanks to the many who came to hear an update on the program, the success of the students and meet Maureen Mulievi, Ngong Road Children Association Program Director who was visiting from Nairobi. Paula Meyer, Friends of Ngong Road Founder and President, highlighted the success of the first ten years of the organization that is proven through the organization’s own data. 91 percent of students who have completed their post-secondary education are employed or in internships on their way to employment. This compares to an estimated 60 percent employment rate in Kenya and only 15 percent for young adults entering the labor market for the first time. Paula noted that this organization is “Ready” to continue transforming lives going forward. Maureen Mulievi, Program Director in Kenya, then shared about her background growing up in rural Kenya in a large family. Her father was a teacher and farmer and believed in educating girls. At the time, the popular belief in the rural community was that educating a girl was a wasted investment as the girl would marry young and only enhance the new spouse’s family, not her own. 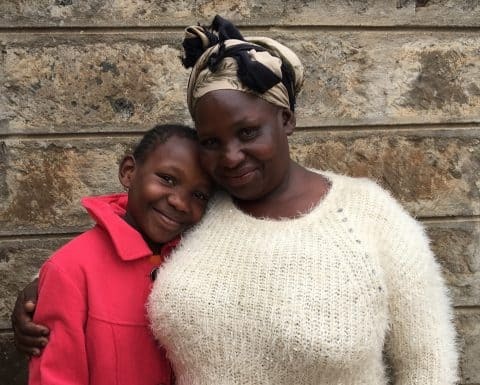 Maureen recognizes how lucky she was to be raised in a home that believed in education for girls, and she has carried that passion into her work. Finally, Evan and Meghan Feige, youn g professionals from the Twin Cities, talked about their experience launching a pilot life skills program in Kenya In January 2017 and their plans to return to Kenya in January 2018 to launch a comprehensive life skills program for all secondary students and recent graduates with the support of Rotary International. As always, the gathering was a reminder that the mission of transforming lives is only possible because of the committed and diverse community of people who care about providing access to education for children who otherwise would not have a chance. If you did not get to attend the event, we invite you to listen to the Illumini Podcast produced by longtime volunteer, Steve Kotvis. Steve has interviewed Paula and Maureen and plans to publish a third interview with the Feiges to give those unable to attend the Annual Gathering a better taste for what was said. It is fun listening for anyone new to or already familiar with the organization. Check it out! 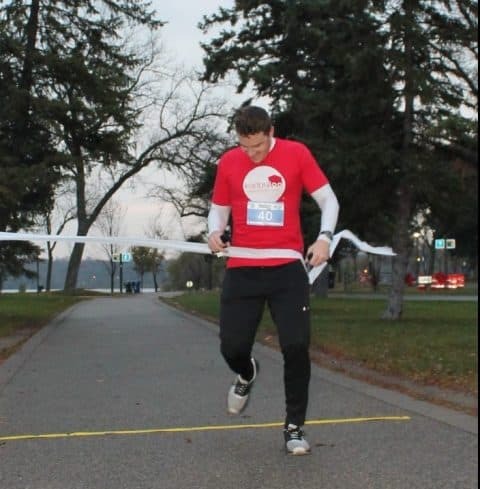 World Toilet Day/World Portable Sanitation Day was November 19, and to celebrate the occasion, the Portable Sanitation Association International (PSAI) put on a 5k Urgent Run fun run/walk in Minneapolis that benefitted Karibu Loo! Karibu Loo is our portable sanitation business in Nairobi that was established in 2015 with the mission of providing income to the nonprofit, providing jobs for graduates, and improving sanitation in Kenya. The PSAI focuses on helping to create a world in which clean and safe sanitation is accessible to all and is a helpful resource for portable sanitation companies across the world. The Urgent Run was held at Lake Calhoun in Minneapolis on a cold November morning. Several Karibu Loo supporters, including Mike Switzer, the founding manager of Karibu Loo, showed up to test out their running skills among the portable sanitation competition. Mike won the Urgent Run by breaking the finish line made appropriately of toilet paper. 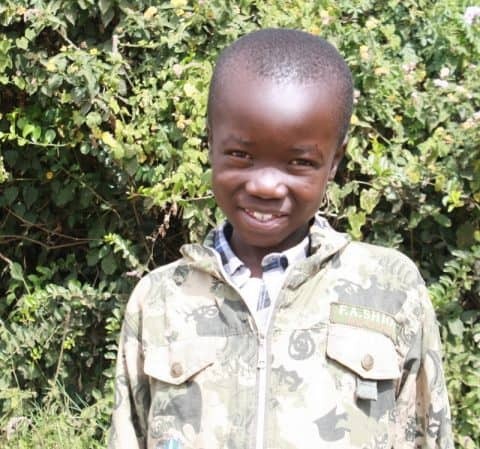 Mike was presented with a medal and Karibu Loo was presented with a check for just under $4,000. PSAI has been a supportive partner, resource, and cheerleader as we continue working to make Karibu Loo a success in Kenya. In August 2018, several PSAI members plan to visit Karibu Loo in Nairobi to provide even further support, meet the staff and students, and enjoy the beautiful wildlife of Kenya. Thank you, PSAI, for all of your support!